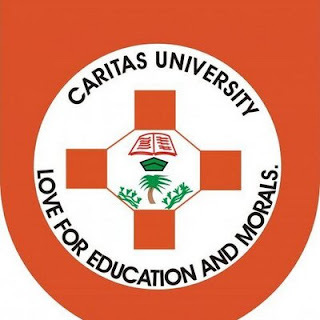 Caritas University, Amorji-Nike, Enugu Joint Universities Preliminary Examination Board (JUPEB) Admission Form, Eligibility, Duration, Subjects Combination, Application Guidelines for 2018/2019 Academic Session. Applications are hereby invited from suitably qualified candidates for immediate admission into the Joint Universities Preliminary Examination Board (JUPEB) Programme for 2018/2019 session. The programme leads to the award of JUPEB certificate and enables candidates to gain Direct Entry Admission into the second year of their preferred degree programmes in Caritas University, Amorji-Nike, Enugu, or other Universities in Nigeria and abroad. Eligible candidates are those who possess a minimum of five 'O' Level Credits (including English Language) in not more than two sittings. The normal duration of the programme is one academic session of two semesters. However, admissions are open to candidates all-year-round. Come with the evidence of payment to Caritas University, Amorji-Nike Enugu, and register for the programme. 1. Candidates are to note that the above subject combinations meet the requirements (as applicable) for admission into Degree Programmes in the Natural Sciences, Management and Social Sciences, Environmental Sciences and Engineering in all JUPEB-affiliated Universities in Nigeria including Caritas University, Amorji-Nike, Enugu. 2. Eligible applicants are advised to come to Caritas University, Amorji-Nike Enugu on each week day for immediate admission and commencement of the programme. 3. Candidates are advised to follow the registration procedure very carefully and ensure they select the correct subject combinations. 4. All candidates are required to register for 2019 Direct Entry admission through JAMB. 5. All candidates are required to have valid e-mail addresses and personal telephone numbers. The Programme That Guarantees You Direct Entry Admission into any University of Your Choice.